Major League Baseball is just a mere dream for many. Kids grow up their whole lives with that end goal– to play professional baseball. Being that caliber of an athlete is hard to come by, but then there are families who break all odds. Hence, the Giambi brothers and the Griffey father-son duo. Then, Tom Gordon, also known as Flash Gordon and long-time Major League pitcher, would take this family feat and take it one step further with the help of his sons. Tom began his career with the Kansas City Royals in 1988 and he’d retire with the Arizona Diamondbacks 21 years later. Through his career, he transitioned from a stater to a reliever, putting on 8 different jerseys (KC, BOS, CHC, HOU, CHW, NYY, PHI and ARI) throughout. He racked up 138 career wins with 158 saves once he became a reliever. In 2009, he decided to hang up his cleats and return to his hometown. The journey of the Gordon’s across baseball continued in 2008. Tom’s son, Devaris, also known as Dee, would steal his father’s spotlight. The Los Angeles Dodgers selected Dee Gordon in the 4th round of the 2008 draft. Dee would come into his own after making his Major League debut in 2011, batting .304 his rookie season. He would string together consecutive All-Star seasons in 2014 and 2015. Dee’s breakout season was in 2015 with the Miami Marlins batting .333 with 58 stolen bases. He definitely holds the “Flash Jr.” name well with his lightening quick speed. But 2015 was more than just an individual success for Dee, his brother, Nick Gordon wouldn’t be left behind. The Minnesota Twins drafted Flash the 3rd with the fifth overall pick in the 2015 draft– directly out of Olympia High School in Orlando, Florida. He spent last season with the Cedar Rapids Kernels and is currently with the Fort Myers Miracle. Though he isn’t has fast on the base paths as his brother, Nick is definitely quick and has plenty of raw talent that will be continued to be developed. He is off to a great start this season as he was named a Florida State League All-Star. On June 18th, I covered the FSL All-Star game where I met and spoke with baseball’s historic trio. Tom and Dee were in attendance, along with the rest of the Gordon family, to support Nick. Nick is currently the 4th ranked prospect in the Twins organization and the first shortstop on the list. Gordon spoke on the his Prospect Rank in regard to the farm system, “It’s a blessing, it’s my dream to play and to be recognized for the skills and ability that I have it’s definitely an honor. Tom Gordon has passed the torch down to Dee. But as Nick develops, we’ll see the torch passed yet again, except this time it’s from brother to brother. Expect to see Nick in the Majors in a few short years; he is an incredible young man and his talent has no ceiling. 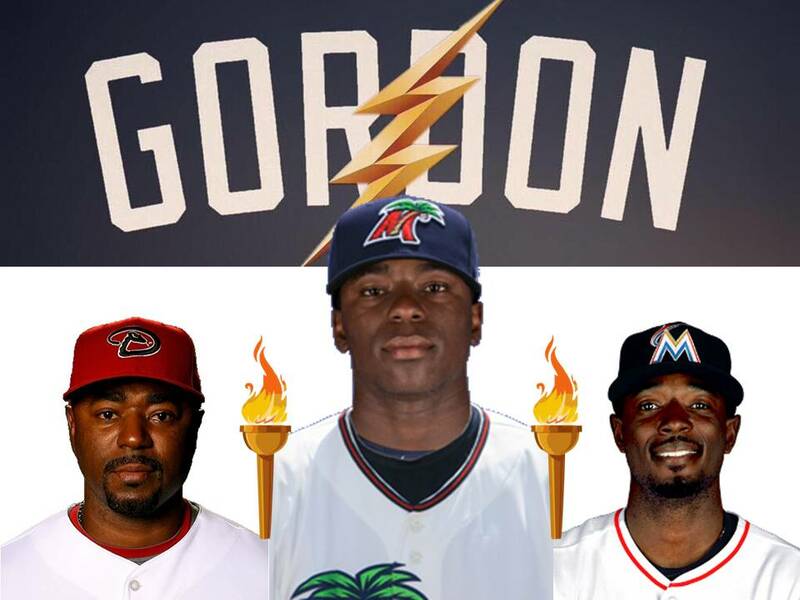 The Gordon name is slowly becoming a household name for all baseball fans. “It feels good to know that my family works hard and that we’ve established ourselves to become something. We’re out here to help others and show every how we did it through baseball. We’re blessed.” Nick said in regards to their trio. The brothers have always supported and rooted for each other to do well but when Nick hits the show, a fun and exciting family rivalry will begin.